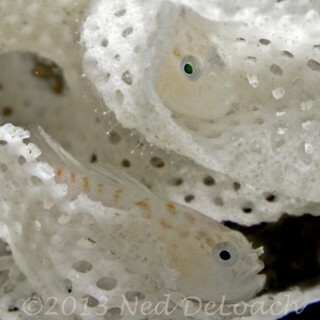 October 2016 ~ Now I know how the Eared Blenny got its name! 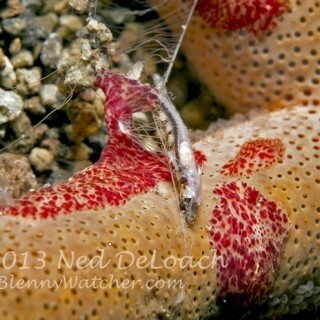 I can’t think of a better way to restart the Blenny Watcher Blog than to share one of my favorite blenny pictures of the year, taken by Ned during our April trip to Triton Bay, Indonesia. 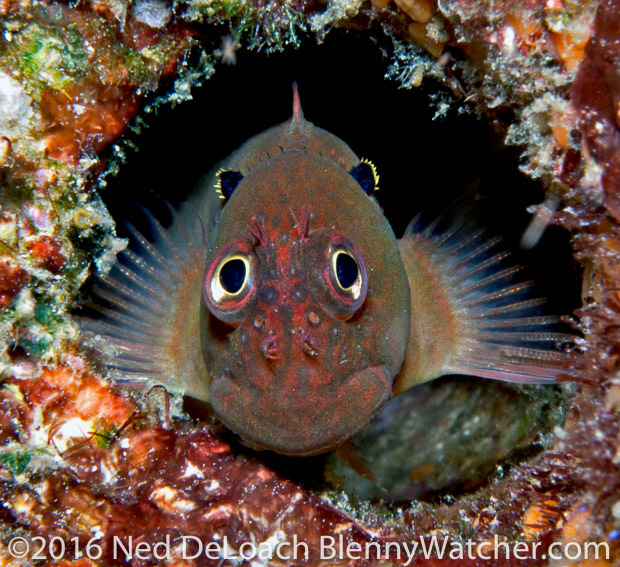 While scrolling through Ned’s underwater images from this year’s dives, I found this image of an Eared Blenny, Cirripectes auritus. The blenny, standing its ground instead of fleeing, enabled me to get a good, head-on look at both of the nuchal flaps – yep – they do look like little ears! 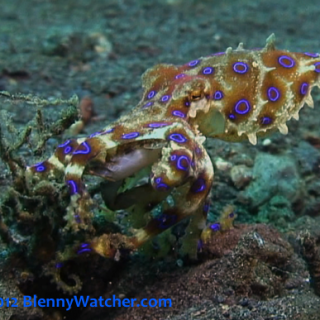 I was at the end of my dive, in a heavy surge zone, but I captured enough video to show Ned and Yan why I was so excited. We were fortunate to make our next dive in the same habitat, and we went straight to the shallow shoreline to find another. 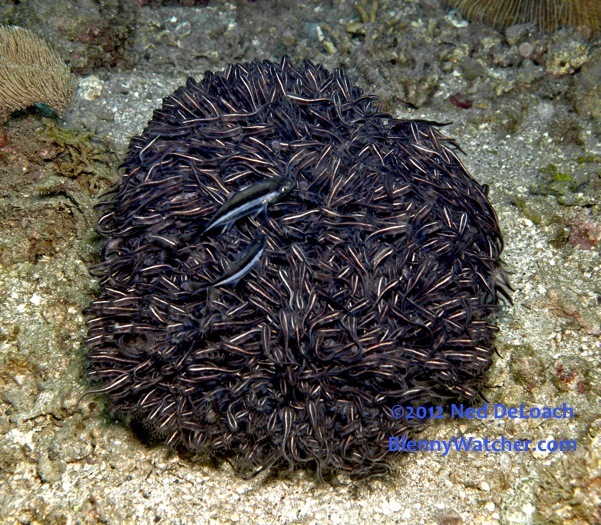 They weren’t particularly rare, once we had a search image and knew where to look, but it took Ned almost the entire dive to get this shot. It was exactly what I had hoped for. Reference: Carlson, B.A. 1981. “A new Indo-Pacific fish of the genus Cirripectes (Blenniidae , Salariini).”—Pacific Science (1980) 34 (4): 407-414. Wonderful Story Anna. Ned, it is a terrific shot. Thanks for sharing. Look at those puppy dog eyes ! Thank you for the greetings to me through my Dad. Always jealous when he gets to see you! Hi Hilary! We loved spending time with your Dad but missed you. We were plotting about possible ways to get the younger folks (and of course, us) together. All the best to you and your family. Anna, such wonderful adventures you have and to be able to experience all the beauty. I love reading about everything. Beautiful picture! Glad you got home safe.